Democratic New York Sen. Kirsten Gillibrand is positioning herself as a climate hawk despite her extensive private jet travel. Media reports show Gillibrand billed taxpayers at least $437,000 for chartered flights to her home state. Democratic New York Sen. Kirsten Gillibrand, who’s mulling a 2020 presidential run, said global warming was a “life or death threat” to Americans when discussing her support for the so-called Green New Deal. 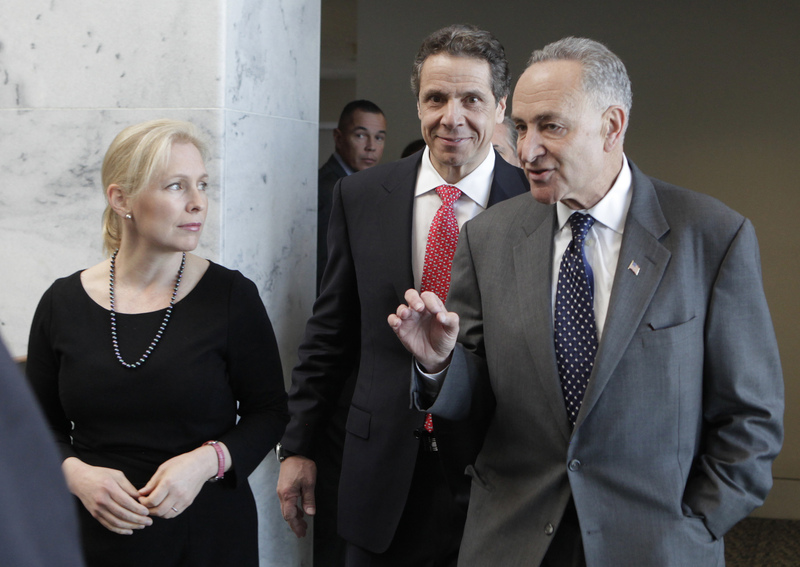 However, Gillibrand has been criticized in the past for billing taxpayers for private jet travel to locations she could have flown commercially, with a lower carbon footprint, or taken ground transportation. Gillbrand’s office did not respond to The Daily Caller News Foundation’s request for comment, including on whether or not she would be the first 2020 presidential hopeful to back banning private jet travel. A 2014 USA Today investigation found Gillibrand charged taxpayers $93,098 chartering jets for trips to her state in 2013, according to Senate financial documents. In 2012, Gillibrand billed taxpayers $194,797 for 30 chartered flights. U.S. 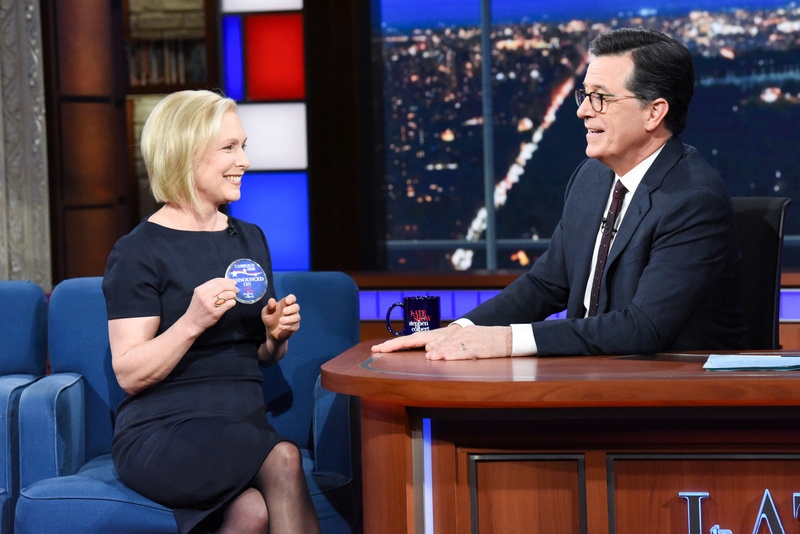 Senator Kirsten Gillibrand (D-NY) makes an appearance on the Late Show with Stephen Colbert in New York, NY, January 15, 2019. Courtesy Scott Kowalchyk/CBS/Handout via REUTERS. AMI’s review of flight information “suggested the lawmakers in many cases could have flown commercial — even at the last minute — for a tenth of the cost of the private jets,” it reported, but there are few restrictions on how lawmakers spend their office budgets. Private jet travel results in higher emissions per person, called a carbon footprint, than flying commercial. Environmentalists have focused their activism on airline emissions in recent years, seeing it as a threat to the planet if unchecked. Gillibrand’s office defended her use of charter jets at the time, but with her recent presidential announcement, new scrutiny could be put on those past flights — especially, now that she’s embraced the left’s Green New Deal. New York Governor Andrew Cuomo walks with Senators Charles Schumer (D-NY) and Kirsten Gillibrand (D-NY) on Capitol Hill in Washington, December 3, 2012. REUTERS/Yuri Gripas. “We need to tell the American people we are going to have a green economy in the next 10 years not, because it’s easy but, because it’s hard,” Gillibrand told “Pod Save America” in an interview Tuesday. “And I just believe that global climate change is one of the greatest threats to humanity. It is a life or death threat that we have to face right now. And it’s been a life or death threat for a long time across this country,” Gillibrand said. Gillibrand also endorsed a carbon tax and reiterated her support for a Green New Deal, which is being pushed by New York Rep. Alexandria Ocasio-Cortez, who’s described herself as a Democratic socialist.